Will Santa Bring Me This Next Year? At dinner just the other night, I was reminded of the fun of Dear Santa lists and it got me thinking. I haven't written a Dear Santa list in a long time. So, here's mine for next year. I figured if I gave you a whole year's lead time, you could get some of these things for me because, well, I really could use them. They're not in any particular order or about any particular thing but see what you can do about the whole list. That would be really great. 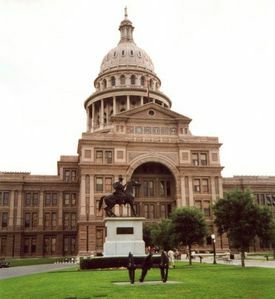 It would really be great if you could get the Texas legislature to pass a law allowing physical therapists to see people without requiring a referral from a doctor just like massage therapists or acupuncturists or personal trainers (and, no, the current law is useless even though technically a physical therapist could see a person without a referral). I think we're just as well trained so we ought to have the same opportunity to help people. United Health Care insurance needs a total over haul. They are way too concerned with buzz words like "maximum therapeutic improvement" or "maximum medical improvement" and way too unconcerned with whether someone can get up and down a flight of stairs without their knee swelling up. This will probably require more than a phone call though. You may have to write them a letter. Is there anyway you could convince the American Physical Therapy Association to write a position paper on the futility of daily note writing? You know, the note writing all physical therapists are required to do, to show some sort of progress in every single session no matter how long a person has been injured or ill? If you think about it, why would a person change a lot in one or two sessions when he or she may have had back pain for, oh, 15 years? It's absurd. 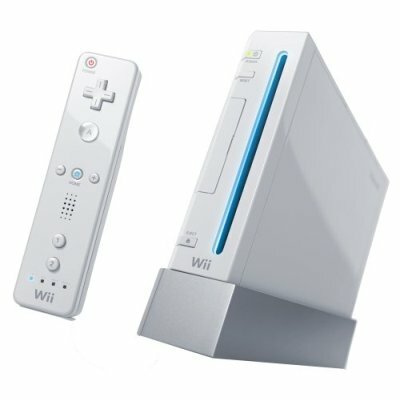 I love Wii but there aren't any games that require you to use your lower body. How about a controller for the leg so you could kick, hop, skip, and other fun stuff? You know, like soccer? And, do you have a to-do list manager? I imagine keeping up with the entire world' s gift requests is a big project. I beta tested THINGS which is very cool but these guys need to hurry up and finish it. So, if you could send an elf or two over there to get THINGS done, I know I would be really happy and you could probably use it too. And while we're on the subject of technology, do you think Steve Jobs is working on a hand held writing device because if he's not, he should be. I'm sure if Steve could whip up some kind of writing table that makes keeping clinical notes easier than what we do now, Apple would sell a ton of them. And, I would talk about it and write about it a lot - if that helps at all. Is there anyway you could get me this bike? 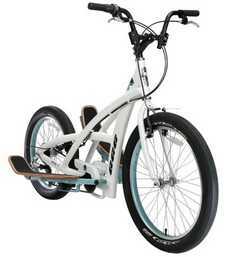 I already have a kickbike, which is very cool, but this one, now, this is a bike that looks really fun. I would really like to be able to jog so I can get back to playing some basketball (no, just easy, nothing spine breaking) and, yeah, I can for a few minutes, but I'm just as impatient as the next guy so if you have a magic jogging wand or something, I could use it. 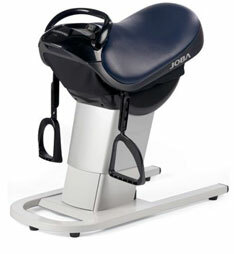 And, on the topic of machines, the Panasonic Core Trainer, another device I like a lot, is NOT like riding a horse and mainly because it's too narrow. A horse has a huge belly so if they could widen this thing to the dimensions of a horse, I could save myself a ton of money (from falling off the real horse). And, one more thing on machines....see if you can talk the people who make the Zero Gravity Chair into using this guy's patent on a lumbar continuous passive motion (CPM) device on one of their chairs. Seems like a great fit to me. 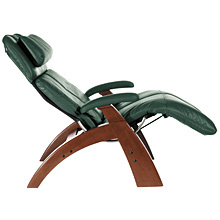 CPM has been proven over and over to help injured joints and the chair is super comfortable. I use this device and it works ok but it's too hard to set up, and if I'm not careful, it can hurt. I would take this on but I already have about six projects going and I'm really trying to cut back. 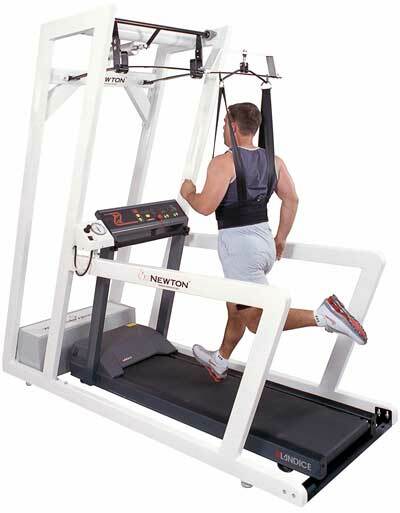 Last thing - we have an awesome machine we invented that you could real ly use in the off-season to keep yourself healthy, by the way, but we could use someone who knows how to manufacture these things. We're building them and we're doing a good job but I'll bet there's somebody out there who knows how to take a machine like this a make it a lot better for a whole lot less money. So, if you could hook me up with someone, Santa, that would really make my 2008. I've been good, as you know, so, this shouldn't be a problem, right? I stopped writing the View in August 2007. I tried shoving thoughts about back pain, and knee surgeries, tendonosis, and shoulder instability, and hundreds of other conditions, injuries, and diseases and all of the people wondering if they're doing the right things, into a cognitive locker. I tried to ignore the endless hamstring stretching, the ice rubbing, and joint cracking of all the people with aches and pains that won't go away. I tried convincing myself that I had nothing more to say about how much more life we all have to live; how movement is the key to all that becomes great in life; how managing physical energy is the doorway to a more balanced and enjoyable life; how injuries can rob you of your joy leaving you feeling like you just watched a thief walk off with all that you loved laughing the whole way. I tried to not talk about what makes people do the things they do; why people keep making choices that hurt themselves and others they care about. I tried building a mental walk-in closet to store all of the ideas, and thoughts and experiences that floated into and through my mind, day after day, like clouds on a lazy summer afternoon. The closet was never big enough. I decided the problem was I needed to write. So, I tried writing about other things but discovered that the things that were on my mind, that whispered and sometimes hollered at me to write just didn't seem to be the subject matter of my new venture. I suddenly stumbled upon every writer's nightmare: white screen syndrome. I wrestled with this for a while staring at the white screen and occasionally typing something, some drivel, followed by immediate backspacing. The truth is, I missed writing The View. I missed hearing from people who were inspired or helped by one of my missives. I missed the sharing. I just missed it and that's that. So, The View will be coming your way once again but instead of each Sunday night, it will show up whenever I have something to say. It might be Sunday night or it might show up three or four times in one week or not for a month. Subjects will vary but they will be practical and practically anything on injuries, healing, and life. Regardless of when you get The View or what The View contains, you'll want to read it. Baby Boomers, I'm one, were born between 1946 and 1964. We like to do things our way, are not yet ready to sit on the porch and watch the traffic go by, and think nothing of buying a Harley, leather gear and all, and riding off into the sunset. But, if you want to enjoy an active, even athletic lifestyle, you will find that very difficult if you suffer from Boomerosis. body parts that ache or hurt thus making movements or exercise difficult and sometimes impossible (physical). feeling a lack of energy or vitality in their life (physical, mental, and emotional). feeling like time is running out and a strong desire to be fully engaged with their world (mental and emotional). a need to feel connected and make a difference - to find their purpose (mental and emotional). When I started my quest back to health in 2003, I answered yes to every one of these questions but I didn't have all the questions above to work with - I omitted a few (ok, I did it on purpose while swimming in the River of Denial). The questions I faced were primarily physical and as I started getting those issues resolved, I was left with the mental and / or emotional ones. I like to think of the mental and emotional issues as having a hole in your roof. It's ok when the sun is shining and things are good but when it rains, it's really unpleasant. Which brings me full circle to why I am writing The View: purpose. In my life of extra white space, I discovered something about myself that started me down a new road that has unexpectedly started fixing the holes in my roof. I'll share more about that in my next View. In the meantime, I'm back with The View and it feels great. The View is back and along with it comes a new look, new features, and an audio version. Check out the side bars for GOOD BOOKS, OUR READERSHIP, 12 THINGS I BELIEVE, and GOOD BLOGS and OTHER COOL STUFF. At the end of each View, you will find a button to listen to the View (if there is an associated audio file - not all entries will have one). To listen, just click on the button. A new window will pop up with the player in it. If you're new to The View and would like to subscribe, you have two options: email or an rss reader. Both options are available in the top left corner of the page. As always, feel free to send your ideas and suggestions for topics to me here. Stay tuned....more to come.